The Australian STEM Video Game Challenge is completely free to enter, and represents a great opportunity for upper primary and secondary students to engage in learning about science, technology, engineering and maths (STEM) in a fun and challenging way. 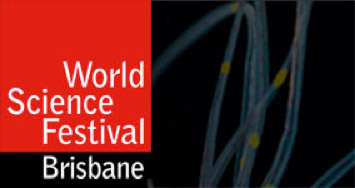 The inaugural World Science Festival Brisbane will bring some of the world’s greatest thought leaders to Queensland, showcase local scientists and performers from around the Asia Pacific region, and host the brightest and the best from previous events in New York. It’s time for young scientists with a knack for communicating, and budding filmmakers with an interest in science, to pull out their cameras! The Peter Doherty awards recognise students, teachers, schools (both state and non-state), volunteers, mentors and organisations who demonstrate an outstanding and innovative contribution to STEM education in Queensland.